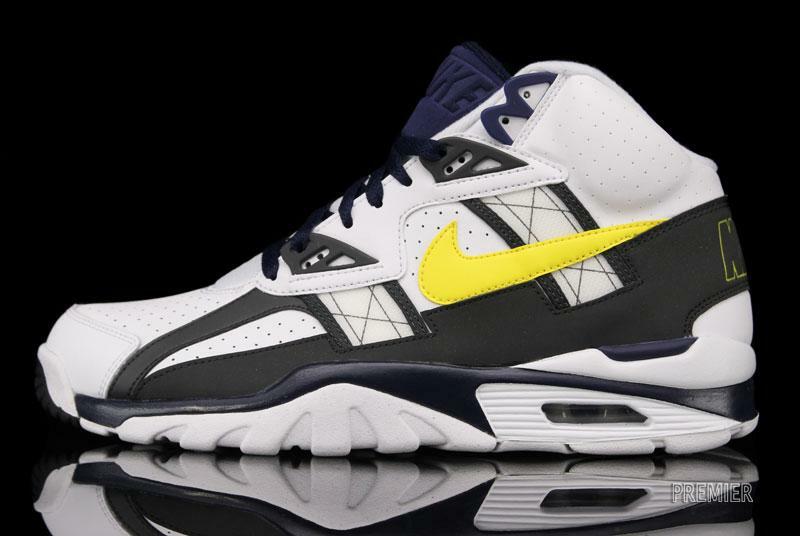 The Michigan-inspired colorway of the Nike Air Trainer SC High is now available at select Nike Sportswear retailers. 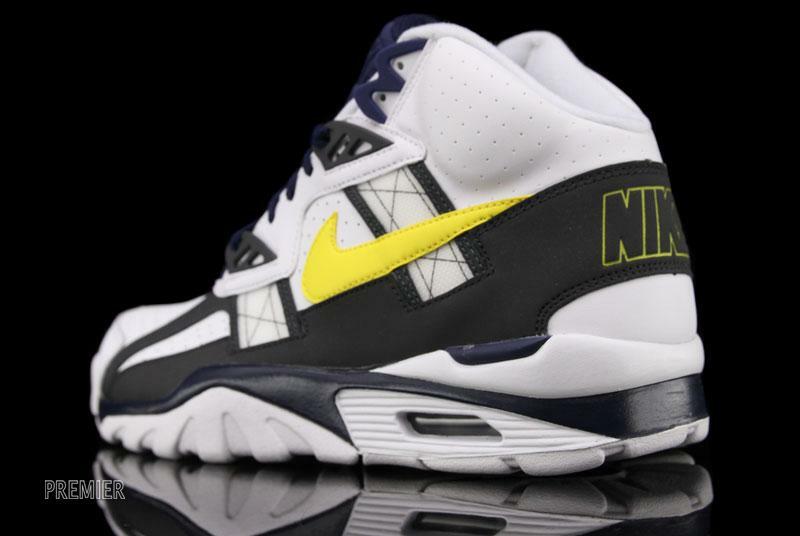 The Michigan-inspired colorway of the Nike Air Trainer SC High is now available at select Nike Sportswear retailers. 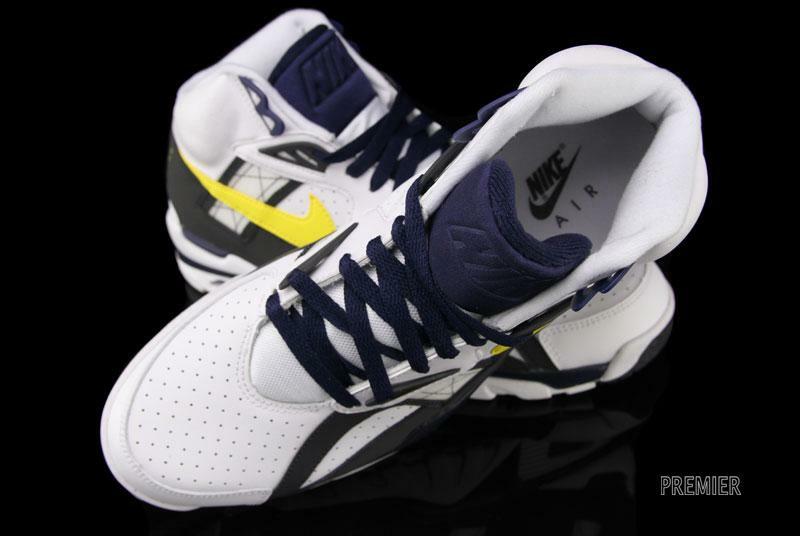 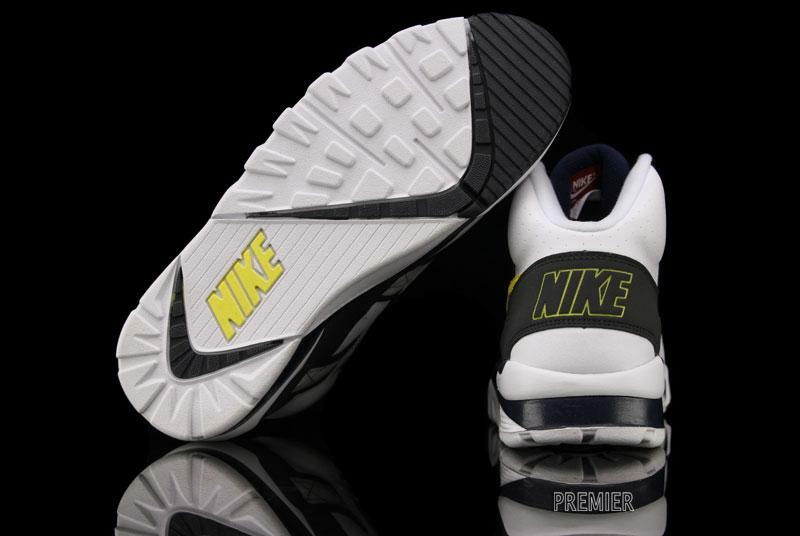 The classic, Bo Jackson-endorsed trainer features a white leather base and anthracite nubuck overlays, along with tour yellow and midnight navy accents. 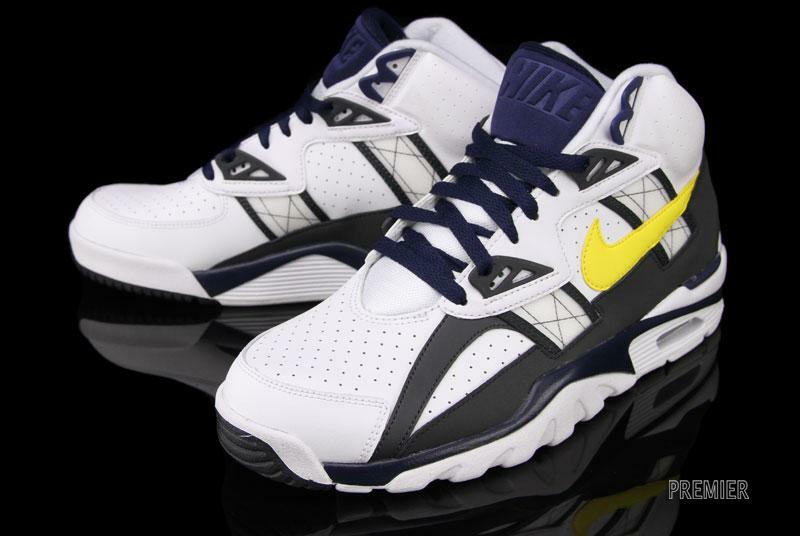 Look for the Nike Air Trainer SC High in White / Tour Yellow / Anthracite / Midnight Navy this week at Nike Sportswear accounts, including Michigan's Premier.